Home » Blog » What Is the Importance of Labeling in the Warehouse? Depending on your business’s warehousing purposes, there are several types of warehouse labels to choose from. Each of these items can be used together to streamline warehouse organization and make sure workers can easily identify every section, rack, and carton. Here are some of the most common types. Floor labels are ideal for large warehouses with several rooms. They are manufactured to survive heavy floor traffic and wear and tear. They are designed to withstand harsh solvent, oil, hydrocarbon solutions, and other contaminants, and they can be customized for any size, shape, length, or content requirements. The most common type of warehouse label is a rack label, which is used to streamline workflow by making items and sections easier to identify for employees. They help identify the right products for inventory management, storing, and shipping purposes. There are several types of rack labels, and they include multi-level, magnetic, cold storage, and more. Rack labels can be easily color-coded for identification; they can also be designed with arrows, and can be placed on aisles for easy locating of items. Out of all the warehouse label options, magnets are the most reusable option. They can be applied regardless of temperature, removed without any mess or scratches, and can be reapplied without the need of sticky adhesives like tape. Magnetic signs and labels are typically used for shelf and rack location labeling as they can be moved when required. This option is terrific for barcoding shelves. They can be scanned up to 45 feet away thanks to particles in the label that reflect light. They are a great solution for warehouse racks, pallets, and other industrial surfaces. A great safety feature, warehouse signs can help identify hazards to employees working in the plant. Since most warehouse workers operate heavy machinery and have to navigate around sharp corners and aisles, warehouse signs are extremely important. Employees should be made aware of proper procedures and potential hazards within the warehouse, and these safety signs are helpful for notifying workers of forklift safety warnings, clearance height and capacity alerts, quality-control warnings, and safety reminders. There are numerous advantages of using warehouse labels as they are the most functional and cost-effective way to keep your warehouse organized and operating efficiently. Here are some of the advantages of warehouse labeling. Warehouse labels eliminate mistakes, such as shipping the incorrect item to customers and mishandling items that should be treated with care. 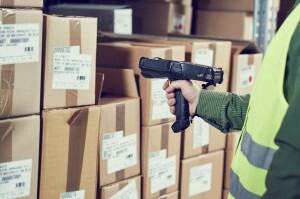 They can include several data to enhance efficiency within the warehouse facility, such as product expiration dates and security or caution notes. Labeled warehouse racks make it easier for employees to avoid work-related errors, such as locating the incorrect product. If products are restocked in the wrong sections or if areas are unorganized with mixed product, the entire supply chain process will be slower and more time-consuming. Proper labeling virtually eliminates this issue. Having racks properly labeled in the warehouse virtually eliminates errors that often occur through manual inventory tracking and recording. These labels also improve the efficiency and productivity of employees as they can more easily locate the right items and shelves to prepare shipments and restocking projects. Correctly labeled cartons also prevent issues during the supply chain, such as backorders or incorrect shipments. Most warehouse labels are easy to install, which makes the labelling process quick and efficient. They are clearly legible and easy to replace if they suffer any damage from wear and tear. The multitude of label options can provide solutions to the unique needs of manufacturing and warehousing companies. Get Inventory Management Help from APS Fulfillment, Inc. Taking the time to change and improve your warehouse inventory management and organization will make life easier for you and your employees. The team at APS Fulfillment, Inc has solutions to meet your warehouse organization needs. If you’re looking for a warehouse labeling system to improve your inventory management, then look no further than APS Fulfillment, Inc. You can contact us by e-mail at [email protected] or by phone at (954) 582-7450.